It was always adelight to train NEBOSH International General Certificate (IGC) with people from multi-cultural backgrounds. 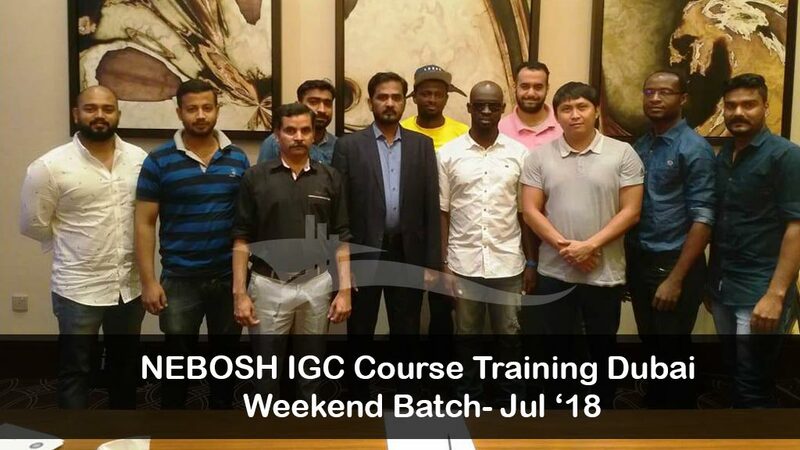 This Nebosh IGC batch had Seventeen unswerving candidates with a strong attitude towards learning and pursuing this NEBOSH IGC course. There are captivating moments during the session with challenges faced personally as a trainer. To get acquainted with each other, candidates were instructed to introduce the person sitting next to them and to head start we had a good overview of the NEBOSH units and shared how it relates to their present work scenario which helped to garner more interest, particularly for those who are new to health and safety (5 out of 17 are new to H&S). Majority of the candidates are from construction sector, with few from manufacturing and food & hotel management. Unit 1 was about what is health and safety and how you manage them with reference to occupational health and safety management systems framework. There wasn’t much questions rose for the first TWO elements of unit 1 and as the session progressed many questions propped with detailed discussions on topics such as risk assessments, permit system, accident investigation and emergency procedures. Unlike unit 1 which was presented in sequence of elements, unit 2 was shuffled between health and safety topics to keep the candidates more focused on one issue (Chemical topics are covered immediately after element 1 and electrical safety was moved to the last day). With unit 2, we had detailed discussions on fire safety measures and machinery safety with additional inputs from candidates from their respective sectors. Since the units are assessed through brief and detailed questions and for the candidates to get familiar with command words, practice tests are conducted for alternate weeks. It also helped me as a trainer to assess the competency level of the candidates and to improve their areas of weakness with exam sections. Apart from mock tests, mind map for few elements are prepared and discussed which will aid for the revision days. An ancient philosopher once said ‘a man who chases two rabbits catches neither’. It is important that you prioritize your task and focus on your goal.